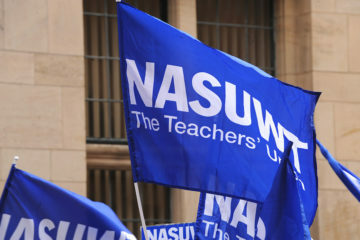 Members of NASUWT-The Teachers’ Union at St Patrick’s Primary School in Belfast will be taking three planned days of strike action tomorrow (Tuesday 2 April), Wednesday 3 April and Thursday 4 April. This action is as a result of the continuing failure of the employer to respond appropriately to the deep concerns of teachers at the school about the culture in which they are expected to work which is having a detrimental impact on their working conditions, their health and wellbeing. 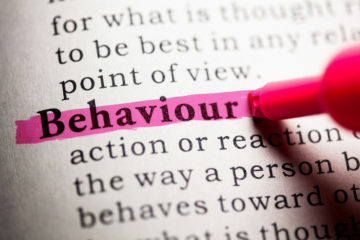 This action is a continuation of the dispute with the Employer and follows six days of strike action which took place in November 2018. “It is regrettable that sufficient progress has not been made by the Employer to avoid this strike action being necessary. “These are dedicated and committed teachers who care about the pupils they teach and for whom strike action is a last resort, but they have been left with no choice. 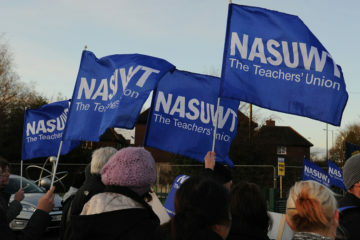 “Following the previous strike action in November, the NASUWT engaged positively and constructively with the Employer. “However, all these months later the teachers at the school have yet to see an improvement in their working environment. They need tangible changes now, not months down the line. “Teachers are entitled to a safe working environment in which their wellbeing is safeguarded. Their Employer has a legal duty of care for them, which at the moment it is failing to deliver. “The NASUWT has been committed to resolving this dispute from the outset. “The Union has met with the Board of Governors and CCMS, the employing authority. “There is a major issue which needs to be addressed immediately and that is the surveillance placed on the NASUWT strike picket in November. “Evidence shows that on three separate occasions NASUWT members were photographed or filmed from across the Antrim Road and on the 27th November two individuals in a car were observed filming directly behind the picket line. “The NASUWT views this as an act of harassment and has been trying to establish who was responsible. “At a meeting in the school on the 27th November, the NASUWT asked if the school was aware that someone was taking pictures of the strike picket near the Pim Street entrance. The representatives of the school and Employer said that they were unaware. “At a meeting in early February 2019 between the school, CCMS and the NASUWT, the Union was told by the Principal that a substitute teacher working at the school during the strike had come forward to her to say that as she was worried about crossing the picket line, her mother and mother’s partner had stood outside to make sure that she got into work safely. “The NASUWT accepted this explanation. “The NASUWT was however shocked to find that the car used for the surveillance belonged to a relative of the Principal. “There is a clear issue here of breach of trust and confidence between staff and the Employer.